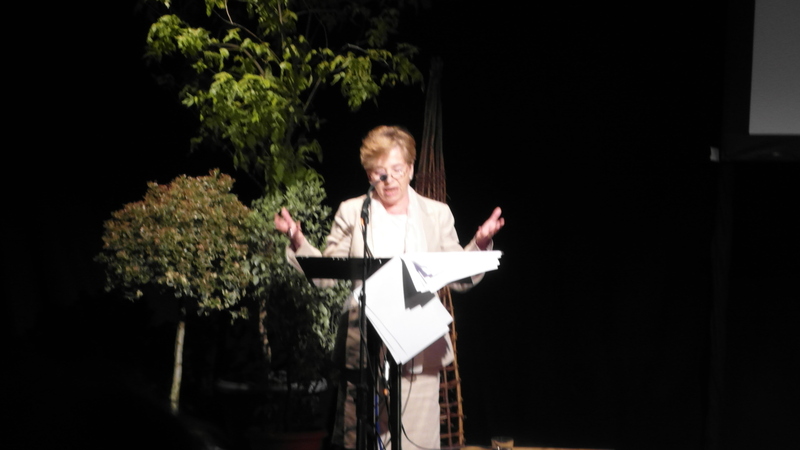 Chaired by Rosie Boycott, the larger part of this event was a narrative on the emergence of the press and the major shifts in press freedom culminating in the present media crisis and the Leveson inquiry. At the start we were warned that as deputy chair of Ofcom Patricia Hodgson was restricted in what she could say about matters currently under investigation. What we were treated to was a clear history of the relationship between press and state. We began with the visions of the founding father of the USA Thomas Jefferson. Hodgson moved on to cite the importance of the work of John Wilkes who produced he radical pamphlet, The North Briton, was a rebel MP who was actually Wilkes was arrested and charged with seditious libel over attacks on George III. Wilkes was later elected Lord Mayor of London “a good position from which to challenge the prime minister of the day”. Though as promised Hodgson avoided analysis of the detail of the current furore she did tackle the subject of press regulation directly. “the problem of over mighty barons has been with us since Henry II fell out with Thomas o’Becket”. Her strong contention is that whatever regulatory system we settle on we must retain a crusading and fearless press. There was in my opinion insufficient attention to the growing importance of citizen journalism, blogs and social networks as a member of the audience said “We are all journalists now if we have the means to be heard”.